There is some great sponsorship research being done these days and a subject that far too few companies that sponsor events pay attention to is the real world return on investment (ROI) that the company is getting for their investment sponsorship Dollars and no doubt about it sponsorship is no different than any other marketing function in today’s world in that it must perform and positively impact the bottom-line of the company. “How much is it worth to sponsor Tiger Woods or Lionel Messi or Rafael Nadal? What’s the payoff for being a sponsor of the Olympic Games or the World Cup? Considering the huge amounts being spent on sponsorships, companies have surprising difficulty answering these questions. Corporate spending on sponsorships in the United States is expected to grow to $20 billion in 2013—equal to one-third of total US television advertising and one-half of digital advertising. Yet industry research reveals that about one-third to one-half of US companies don’t have a system in place to measure sponsorship ROI comprehensively. In our experience, executives who implement a comprehensive approach to gauge the impact of their sponsorships can increase returns by as much as 30 percent. Dan Singer includes just how one would go about using the above five metrics in measuring what the sponsorship investments a company is making are actually worth which we would heartedly recommend to anyone that works in the world of sponsorship to read and take to heart because any marketing investment that is not performing in the marketplace is a just a failed marketing investment. But how should corporate sponsors make the most of that money? Ad Age recently caught up with IEG senior-VP for content Jim Andrews for some tips. Individual sports teams are collecting more data from season-ticket holders than ever, from personal information to concession-buying habits, with some of it collected through smartphone-enabled ticketing, Mr. Andrews said. Sponsors should ask for some of that data, which consumers are more willing to give to their favorite team than a corporate brand. 2. The performance at the event itself by both the event personnel and the sponsoring company in how it activates its sponsorship can have a big impact on how successful a sponsorship performs in the marketplace and how much it impacts the bottom-line of the company. 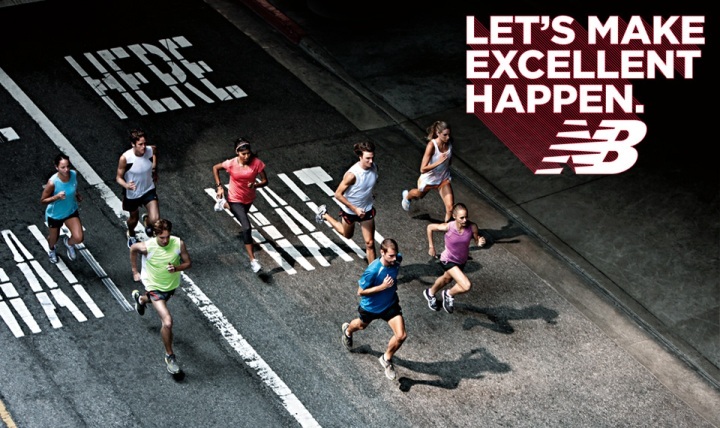 “Standard Chartered Bank has renewed its sponsorship of the Singapore marathon for another three years. The deal, worth S$10.5 million, means the bank will remain as the event's title sponsor until 2016. Sport Singapore’s chief executive officer Lim Teck Yin said that the event has played an instrumental role in propelling the Republic into the ranks of Asia's premier sports destinations. He said: "Standard Chartered Bank has long been a valued partner of sport in Singapore, and her contribution through the Standard Chartered Marathon Singapore exemplifies how a sports event could be grown over the years to reach out to young and old, and inspire people to live better through sport." The Standard Chartered Marathon Singapore began with just 6,000 runners in 2002 before reaching a peak of 65,000 runners in 2011. ….which is a very impressive sponsorship deal that dwarfs the kind of sponsorship Dollars that many marathons in America are now getting and asking for with their Title Sponsorship opportunities. Kudos to Sport Singapore and Standard Chartered Bank for putting together this terrific long-term sponsorship deal! “For Jennifer Pickering, success is a once-shy young musician playing trumpet on stage in front of his beaming parents. One of Laura Hope-Gill's proudest moments came after a webcast reading, when she saw that people in 18 nations had tuned in. Matthew Kern's achievement metric? The number of hugs he received from thrilled festival-goers. All three are event organizers who produced large-scale festivals when the economy flourished — and when it failed. Under sunny and stormy skies. Each of these events slated for May is vastly different: Pickering has produced the arts-filled Lake Eden Arts Festival for 19 years; Hope-Gill, a local poet, directs the seventh annual Asheville Wordfest; while Kern and four close friends have produced the music- and outdoors-focused French Broad River Festival for 17 years. These myriad activities, ranging from rhyming to rafting, are connected by motivation: Each event is designed around mission — not money. Since 2013, six major Asheville entertainment events and festivals, from decades-old block parties to zombie walks, have been put on pause or canceled outright. Many organizers cited money woes or unendurable infrastructure and planning limitations as reasons for the struggles. Amen to that Matthew Kern who has been involved in running the French Broad River Festival for 17 years. …for what they are doing will inevitably when we get these PASSIONATE people in front of potential corporate sponsors display their love for what they are doing so strongly that often the company is ready to write a check to sponsor the event on the spot! What then is the Essential Lesson that people running events and festivals should know about above all else? Have PASSION for what you are doing in life and especially have a PASSION for the event or festival you are running! 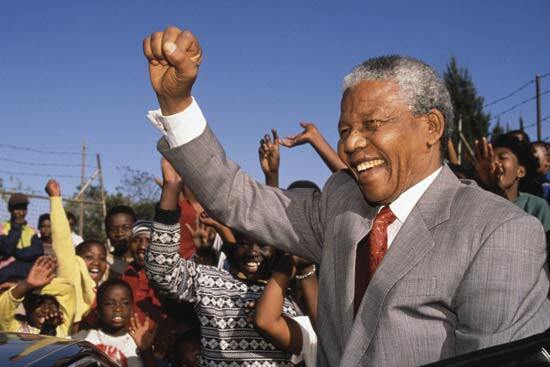 “Years go by, fashion changes, but the things that really successful people do each day are timeless. Here's a case in point: Mad Men, the hit television show about the partners and employees in a 1960s advertising agency, now entering its seventh season. I've written before about how the real star of the program isn't Don Draper or Peggy Olson but the advertising agency itself. More than that, if you take notes, you'll see that the plot lines and characters offer great examples of how to get ahead every single day--and how not to. 1. Trust your creative side. Series protagonist Draper's title is "creative director," which has to be one of the most apt job descriptions ever, given his penchant for reinvention. However, he does seem to understand how his creative mind works. Among his practices, he'll spend a lot of time thinking about a creative challenge, then forget it, allowing his subconscious mind to do the heavy lifting. 2. Fake it until you make it. Draper is secretly living another man's life, and with the development of another character, Bob Benson, it looks as though he's not the only one. When the firm was small, it would go out of its way to try to look bigger and more accomplished. You don't want to be dishonest or disingenuous, but you do want to visualize what success would look like and behave as if you already fit the part. 3. Get ahead of your customers. Here's the key to advertising. Dealing with people effectively is about finding a way to help them get what they want. The challenge is that so few people are truly self-aware. Thus, your mission is to figure it out for them and find a solution to a problem they didn't even know about. Olson rose from secretary to creative director. Joan Holloway is now a partner bringing in new accounts. Both characters have reached higher levels than they originally dreamed of, only to find that the prize for climbing a mountain is often another bigger mountain. Plans change, goals shift, but it's the people who are willing to dream bigger who actually accomplish things. Mad Men opened years ago with its characters facing a professional challenge. The U.S. government was about to start cracking down on cigarette advertisers, and the firm needed to find both a new way to pitch its tobacco clients and a new direction to find more clients. This required long-term thinking that didn't exactly come naturally to all of the characters. 6. Don't be afraid to quit. The show is about beginnings and endings, over and over and over--fired clients; fired employees; marriages, business deals, and client engagements that the characters walk away from because they're not working out. From the destruction each time comes a new opportunity. “The sporting world got a jolt last week from the prospect that college football players might unionize. Now another surprise is afoot: U.S. track stars are considering a strike. Top professional track and field athletes are preparing for collective action against the sport's governing body that could lead some athletes to boycott the U.S. national track and field championships in June. Discontent has been building among athletes over how USA Track & Field runs its meets and applies rules. Anger peaked after a pair of controversial decisions at the indoor national track and field championships in February, including the disqualification of a runner at the insistence of a coach with USATF principal sponsor Nike Inc.
A group representing elite runners, shot putters and pole-vaulters is seeking a greater role in monitoring such issues. However the potential boycotting of events and unionization by track and field athletes ends no doubt there is fine line that needs to be walked by companies that are significant sponsors of coaches, athletes and even organizing entities that have a tremendous amount of power to determine the outcome of the competitive events they stage. “The American snacks and beverages major is seeking increased visibility in boxes in the stadium, perimeter boards, dug-outs and drinks trolleys among others, after the Board of Control for Cricket in India (BCCI) announced that the first phase of the IPL will be played in the United Arab Emirates because of the Lok Sabha elections in India. A PepsiCo spokesperson confirmed the same. "We are working closely with the BCCI team and will rely on them to devote more resources to actively support us to manage the complexity of activation across two countries," the spokesperson said. "We are also talking to them to increase fan engagement with the best locations for visibility and other engagement assets." Did you catch the two fascinating facts in that last paragraph above? For those of us that have traveled throughout the Middle East one of the things that struck us as Americans was the very strong position that PepsiCo has with its beverage products across the Persian Gulf – Indian Ocean region and how hard it is has been for Coca-Cola to breakthrough when it is considered the “American” brand in that area of the world which is not always a moniker a company wants to have attached to its brand it seems. “Friday's official confirmation that Verizon is the new title sponsor for the IndyCar series can be simplified into this analogy: one of the most visible and vibrant companies in the country will try to raise the awareness of a sport that's starved for attention. "We think it's a game changer for the IndyCar series," said Mark Miles, CEO of Hulman & Company. "I can't imagine a more perfect partner than Verizon to take innovation forward and showcase technology.“ We can't wait to activate." No terms were revealed but it's thought to be a 10-year-deal worth $10 million annually. As reported Monday on RACER.com by Marshall Pruett, Verizon's sponsorship replaces IZOD's five-year run but unlike some other past title sponsors, this seems more like a continuation of a good thing. Verizon has sponsored front-runner Will Power at Team Penske the past four years and is also backing Juan Montoya's return to IndyCar in 2014 in addition to providing the pole position award and being an official partner of the series. "We've become increasingly selective with the organizations we partner with, we've got a good relationship with IndyCar and now it's time to step up," said Brian Angiolet, vice president of marketing for Verizon Wireless. "We are not just mobile, wireless or a phone company, we're more of a technology company and IndyCar is a perfect place to apply our technology." 2. The Verizon Wireless representative talking about how being able to leverage and promote Verizon’s technology with the IndyCar sponsorship which is what all mobile companies have now evolved into in recent years and something events seeking sponsorship should keep in mind when pitching technology companies like Verizon, Sprint, AT&T, etc.. Yes, fascinating stuff in all of the above three recent sponsorship news stories. Why are we sponsoring this? Why are we sponsoring anything? This is THE big question, and while many sponsors do ask it, most don’t really dig for the answer. Everything, EVERYTHING you do with sponsorship – as a whole and individually – is about one or both of those things. If you can specify exactly what you are trying to change – all tying back to your overall brand or company objectives – suddenly, everything else will fall into place. You’ll know how to leverage your investments. You’ll know how to measure the results. Do we have the resources to make the most of this investment? Lead time – Do you have the lead time to plan and implement a strong leverage plan? Human resources – Do you have the people and the hours to make the most of this investment? Buy-in – Do the stakeholders within your company see the potential? Are they keen to use it across what they do? Budget – Do you have (or can you access from other budgets) enough to make the investment and leverage it? Does this sponsorship have the critical mass of care to leverage effectively? This is another big question. A sponsorship doesn’t have to be huge to work, it has to have...."
….and when someone finds themselves in a position of considering a sponsorship investment in an event, venue naming rights opportunity or anything else where corporate Dollars are going to be spent in the sponsorship arena it is a MUST that the critical questions around what the return-on-investment will be on that sponsorship commitment be asked before the Dollars head out the door. If the company we pitched decided to make the investment would the event sponsorship or venue naming rights opportunity impact in a positive way the Bottom-Line of the company in question? If we cannot answer the above question with a resounding…. The long-standing Florida Citrus Bowl Stadium which has hosted the long running Florida Citrus Bowl football game (now Capital One Bowl) since 1947 is now under a $200 Million Dollar Plus demolition & renovation and along with that renovation will come a new “corporate name” with “Citrus” being sacrificed for the revenues that partnering with a corporate partner to takeover the “name” of the new stadium. The Orlando Sentinel has the story…. Citrus' days are likely numbered at the Florida Citrus Bowl. In a region where citrus was once king, one of the most prominent vestiges of that heritage — the Florida Citrus Bowl stadium — will drop "citrus" from its name. Florida Citrus Sports, the organization that hosts college-football bowl games and other events at the venue, is trying to sell naming rights to a corporate sponsor. If successful, some company — likely with no connection to the citrus industry — will slap its name on the stadium. "In this day and age, that's what comes with major sports in our country," said Steve Hogan, chief executive officer of the FCS. It wouldn't be the first name change for the stadium, but it has been associated with the citrus industry for most of its 78 years. It was called Orlando Stadium from 1936 to 1946 but was renamed the Tangerine Bowl for the next 28 years. In 1976, it took the name Citrus Bowl, then returned to the original Orlando Stadium name for the next five years. It was first named the Florida Citrus Bowl in 1983, and it's been called that ever since. The name came from the state Citrus Commission, which used taxes collected from growers to sponsor the New Year's Day bowl game now known as the Capital One Bowl. The stadium took the same citrus moniker as the game and kept it even after the Citrus Commission ended its longtime, $657,000-a-year sponsorship in 2002. Citrus used to be a dominant Florida industry but has declined through the years. Groves have been smacked by disease and devastated by freezes. Growers have given in to development pressure, selling off acres of orange and grapefruit trees for suburban housing developments. Citrus greening, a bacterial disease that arrived in 2005, represents the biggest danger yet and threatens to kill the industry. Longtime citrus grower Jerry Chicone Jr. helped push for the Citrus Bowl name, and said he prefers old names such as the Sugar Bowl and Cotton Bowl to the corporate names now tacked on. But he understands that money matters. "We worked very hard back in the early days to name the Florida Citrus Bowl," he said. "But across the country, because these facilities cost so darn much money, the new tradition is they all sell the name. "One of the necessities today is to have a corporate name. In the industry, they'll probably hang me, but everything changes." What might the corporate “naming rights” to the soon-to-be Florida Citrus Bowl be worth to the City of Orlando in the marketplace? ….and a few news stories on recent large “naming rights” deals…. Our educated guess here at the Roaring Fork Agency is that the Florida Citrus Commission could sell the “naming rights” to the current Florida Citrus Bowl to a corporate partner for somewhere around…. It will be interesting to see what kind of deal the Florida Citrus Commission can put together for the “naming rights” of the current Florida Citrus Bowl and we here at the Roaring Fork Agency have a handful of clients that we are going to pitch this stadium’s naming rights opportunity to in the near future. Fast Company With Some Great Advice On "17 Productive Ways To Spend 5 Minutes Instead of Checking Your Email (Again)"
“The ubiquity of smart phones means we never lack for a way to spend time. Stuck waiting for the elevator for 30 seconds? Next thing you know you’ve got your phone out of your pocket, and you’re deleting newsletters you can’t remember subscribing to. Pull it up, read what you’ve got on it, and start adding. 2. LISTEN TO A FAVORITE SONG. Yes, you’ll need to use your headphones, but jamming out to Katy Perry for three minutes and 30 seconds will probably leave you feeling more energized than deleting marketing emails for a similar quantity of time. Want to read more? You don’t need free hours to make it happen. 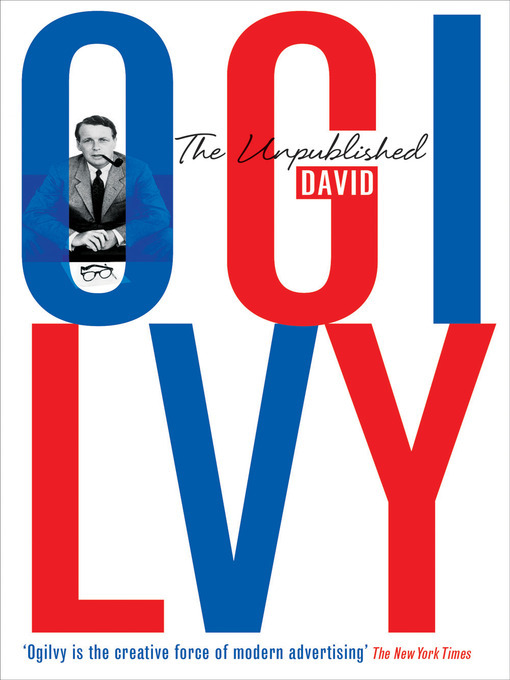 DailyLit.com sends bite sized chunks of classics to your inbox, but you can also just keep a regular book in your desk drawer and read it, one page at a time. Books of poetry are good for this. You’re in and out (unless it’s The Wasteland). Tell them you’re thinking about them. Text a friend to ask her about her day. Call, if you think the person might be available. Jotting down a sentence here and there on specific moments of awesomeness can help you remember that your life is, in fact, awesome. Keep some note cards and stationery around and write a note to someone whose birthday is coming up, or a friend or colleague who did something intriguing. There’s no need to write more than three or four sentences, and you can definitely do that in five minutes. A random thank you note to someone who isn’t expecting one could actually make someone’s day. Also don’t miss at Fast Company their terrific Work – Smart section which is a regularly updated blog that details “the apps, tactics, tips, and brain hacks to help you work smarter instead of harder” which is must-read in the Go-Go World that we all live in today. “In a time during which title sponsorships can be hard to come by on the PGA Tour, Charlotte’s Quail Hollow Club has received another strong shot of stability. The tour announced Tuesday that Wells Fargo has renewed its sponsorship of Charlotte’s tour stop for five years. That means the Wells Fargo Championship will be in Charlotte through 2019 – except for 2017, when it temporarily will move to Wilmington’s Eagle Point Golf Club to accommodate the PGA Championship at Quail Hollow. “We think the future is really bright for this tournament,” PGA Tour Commissioner Tim Finchem said of the Charlotte tournament, which is scheduled for May 1-4 this year (it will keep its date on the PGA Tour schedule). The tournament – one of the most popular among players on tour and a consistent sellout – has been at Quail Hollow since 2003. In all but two years, it has been sponsored by Wells Fargo or its predecessor, Wachovia. Several PGA tournaments have struggled to retain title sponsors during recent seasons, including Hilton Head Island, S.C., Innisbrook in Tampa, Fla., and Washington’s Congressional Golf Club. Kudos to Ed Kiernan and Engine Shop which has been putting together some very innovative sponsorship deals in the last few years. “The Champions Tour will continue to play its season-opening major championship in Birmingham, Ala., through 2018. Regions Financial Corp. has extended title-sponsorship of the Regions Tradition, the Champions Tour announced Tuesday. Congratulations to the folks at Bruno Event Team for extending Regions Financial as the Title Sponsor of the Regions Tradition and best of luck with your great tournament into the future. …..and that is because every marketing Dollar spent in today’s world needs to return “X” amount of business to a company and sponsorship Dollars are competing right along with every other marketing channel and thus sponsorships better dang hit their target. “Although Shreveport’s postseason college football game can’t match the net worth of the stars of “Duck Dynasty,” the game’s officials can certainly sympathize with tireless hours and questions about whether the business can and should remain open. 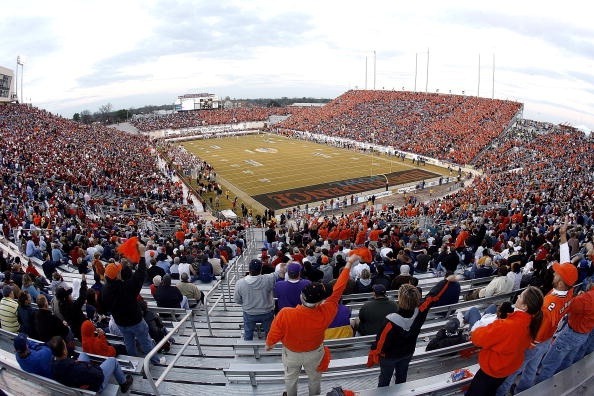 For the Independence Bowl, those lean times didn’t just take place in its infancy. With every departure of a title sponsor came gloom and doom from outsiders and a fear the gates at Independence Stadium would be forever locked to such an event. 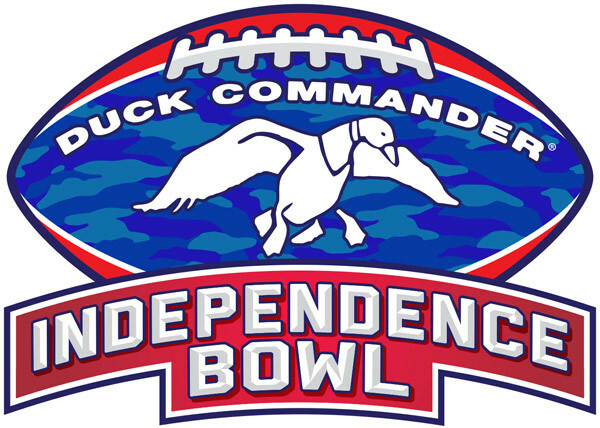 But again, thanks to a creative title sponsorship package with Duck Commander, the Independence Bowl marches on. Bill Glenn of The Breakout Group in Dallas created and brokered an unprecedented agreement between the I-Bowl and Duck Commander. Instead of the typical deal where the title sponsor writes a fat check, this relationship has several different layers. The deal’s current structure (under terms stated by a letter of intent) gives the Independence Bowl Foundation the opportunity to leverage the red-hot Duck Commander brand throughout the year. In addition, Duck Commander will bring some of its partners to the table to create synergies (sponsorships/revenue) with the foundation. Bowl leaders are hopeful, under this structure, the grand total of dollars generated by the “title sponsor” has the potential to exceed that of your typical sticker price (the most recent tag ran AdvoCare about $800,000 per year). Thursday, Duck Commander Independence Bowl executive director Missy Setters declined to comment on the title sponsorship structure. However, Wednesday, she stated she expected the agreement between Duck Commander and the game to be guaranteed for “at least” three years. The ability to leverage multiple assets involved with Duck Commander and the creation of personal appearances and events can help raise the level of awareness and value of the Independence Bowl brand. There are very few instances where this would work. IBM could write a $1 million check to put its name on a bowl game, but the subsequent dollars the game could generate, simply because it’s named the “IBM Bowl” would be minimal. There is nothing wrong with a large, one-off deposit. However, the Independence Bowl wasn’t exactly in the position to call its own shot of that magnitude. Is there more uncertainty under this plan? Sure, but Glenn’s idea could prove ingenious and certainly fits into the I-Bowl’s means. That is some innovative thinking to say the least and this new Title Sponsorship deal will no doubt keep the folks at the Independence Bowl busy year-round making sure that they are generating buzz in their local community of Shreveport, across the state of Louisiana and across the country which if done right might put the Independence Bowl into a position where it is one of the better known college football bowls in America. ….with the events often leveraging their “name” Title Sponsors to attract both public and media attention to their events on a year-round basis. Kudos to Willie Robertson of Duck Commander, Bill Glenn of The Breakout Group and the Independence Bowl for coming up with a new and fascinating way to put together a large Title Sponsorship that we just might try ourselves for a couple of the events that the Roaring Fork Agency is now representing. 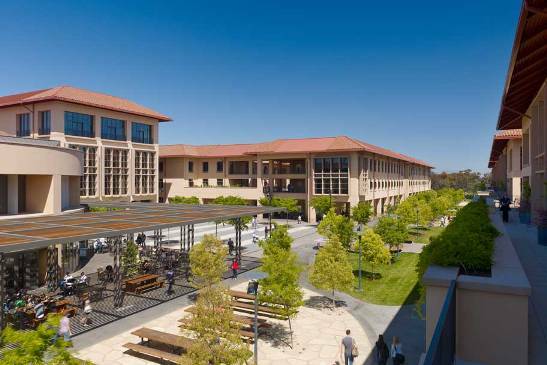 ....it never hurts to educate oneself on the latest business trends and there is no better place than the best business in school in the land....the Stanford Graduate School of Business....to pick-up some invaluable knowledge that will help anyone run their business and live their life. Enjoy. Jennifer Aaker: What Makes Us Happy? Andy Rachleff: Where Do the Best Ideas Come From? 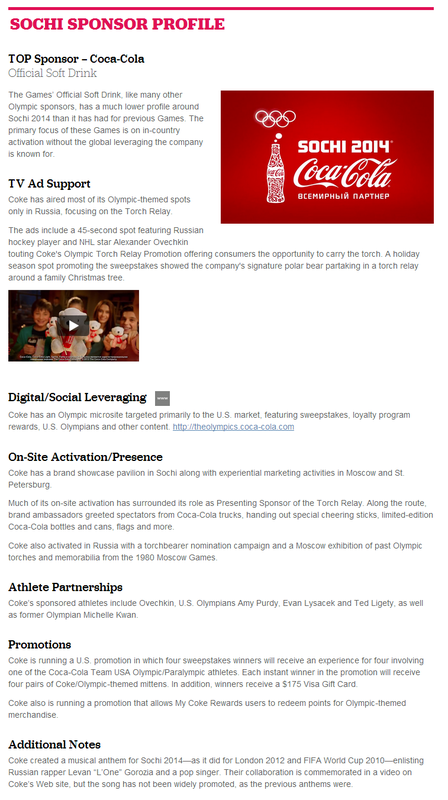 With the XXII Winter Olympic Games in Sochi, Russia now over a week into competition there is something that is never far from our minds here at the Roaring Fork Agency when we are talking to companies about becoming sponsors of the events we represent is the amount of investment required beyond the cost of sponsorship which is otherwise known in the sponsorship business as the…. IEG (www.sponsorship.com) has done some great work over the years clarifying and quantifying the amount that corporate sponsors spend on Fulfilling their Sponsorships in Events and this past week IEG put up a great presentation that details all that the largest Olympic Sponsors do in and around the Olympic Game to make their large sponsorship investments payoff which is worth anyone’s time that has an interest in the world of sponsorship. ….that companies now sponsoring events or that are considering sponsoring events in the future should keep in mind if they really want their sponsorship investments to payoff in more customers, revenues and profits which in the end if the bottom-line of any marketing/advertising expenditure. For sponsorships less than $1 Million Dollars we here at the Roaring Fork Agency usually tell companies sponsoring events we represent that they should expect to invest…. ….the cost of the underlying sponsorship if they really want the most bang-for-the-buck from their sponsorship efforts which for example means that a company spending…. ….fulfilling that sponsorship investment to really make it payoff for the company, for the event and in the marketplace. "Today we study Ogilvy's successful advertising campaigns to learn how to persuade prospective customers, influence readers and create memorable, evergreen content. But the "father of advertising" also has plenty to teach us about productivity, branding, research, ambition—and writing. 1. Read the Roman-Raphaelson book on writing. Read it three times. 2. Write the way you talk. Naturally. 3. Use short words, short sentences and short paragraphs. 4. Never use jargon words like 'reconceptualize,' 'demassification,' 'attitudinally,' 'judgmentally.' They are hallmarks of pretense. 5. Never write more than two pages on any subject. 7. Never send a letter or a memo on the day you write it. Read it aloud the next morning—and then edit it. 8. If it is something important, get a colleague to improve it. 9. Before you send your letter or your memo, make sure it is crystal-clear what you want the recipient to do. 10. If you want ACTION, don't write. Go and tell the guy what you want." 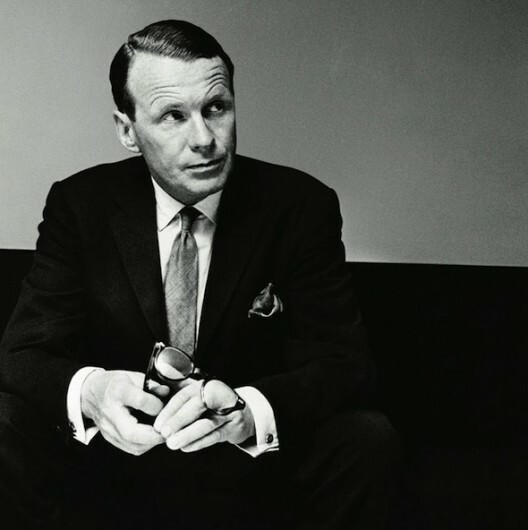 Thanks to David Wright Smith for reminding us again of the simple greatness of David Ogilvy. 1. High standards of personal ethics. 2. Big people, without pettiness. 3. Guts under pressure, resilience in defeat. 4. Brilliant brains — not safe plodders. 5. A capacity for hard work and midnight oil. 6. Charisma — charm and persuasiveness. 7. A streak of unorthodoxy — creative innovators. 8. The courage to make tough decisions. 9. Inspiring enthusiasts — with trust and gusto. 10. A sense of humor. 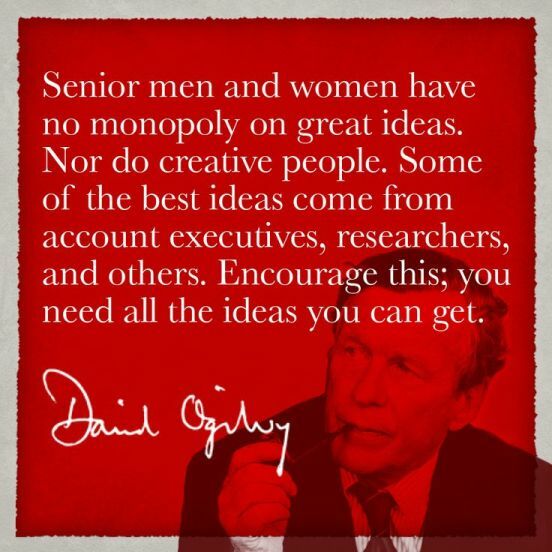 Yes, a hearty thanks is in order to the Late Great David Ogilvy for his great advice and continued inspiration to those of us that work every day to try and engage our fellow human beings in an interesting way so they will consider purchasing our clients products and services! Top-Tier Olympic Sponsors Spend $100 to $400 Million Dollars On the Olympic Games - Is It Worth It? With the Sochi Winter Olympic Games set to start this week we have been looking over the investments made by the major sponsoring companies of the Olympics and we have found eye-popping numbers everywhere that we have looked. CNNMoney recently asked the very good question of…. “Former International Olympic Committee director Michael Payne said Cobb County was an early example of the kind of media storm the Games can generate, and sponsors had learned to roll with the punches. So does this brand bashing have any impact on their investment? 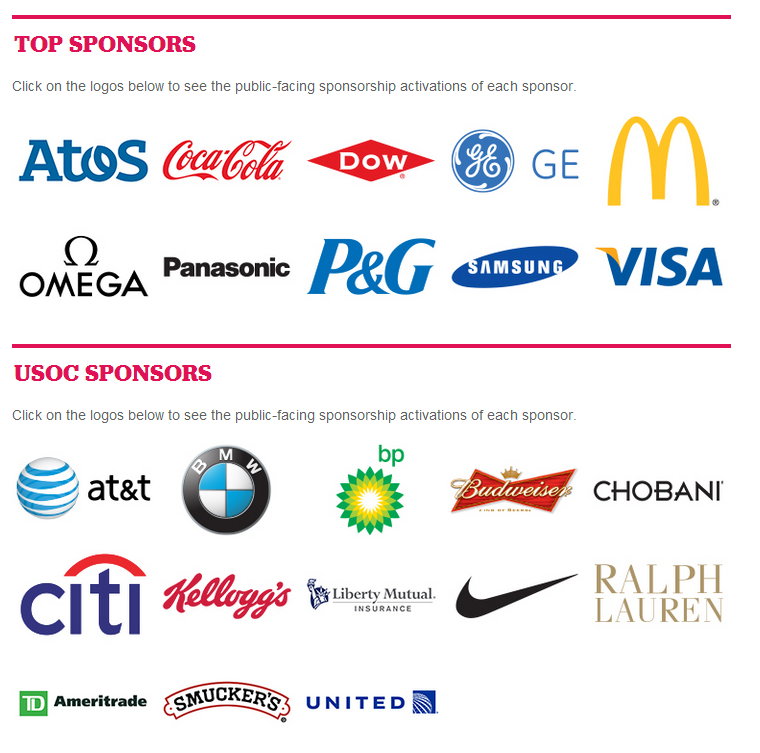 Corporations pay an estimated $100 million to become a major Olympic sponsor. On top of this, they pump massive investment into related marketing campaigns. "The rights fee is really on the right to spend more money," said John Ivey, managing partner at Boston-based sports marketing consultancy AMM. Just how much more isn't clear. Media tracking company The Global Language Monitor estimates top sponsors spend as much as one billion dollars over four years. $100 Million Dollars paid to the Olympic Games to be an “Olympic Sponsor” and then another $300 to $400 Million Dollars to make that sponsorship payoff which is serious money even for the largest and best known brands in the world which raises the question of what do the Olympic Sponsors get for all that money? As reported by the great TV ratings website TV by the Numbers those Olympic Sponsors gets lots of eyeballs and lots of exposure during the Olympic Games every two years which are very simply the most watched TV programs in America and around the world. The London Olympics has averaged 31.1 million viewers in primetime, and a household rating of 17.5, making it the most-watched and highest-rated (tying Seoul 1988) non-U.S. Summer Olympics since the Montreal Olympics in 1976. The London Olympics average primetime viewership of 31.1 million viewers is 3.4 million more viewers and 12% higher than the Beijing Olympics (27.7 million) 6.5 million more viewers and 26% higher than the Athens Olympics (24.6 million). Nine nights of the London Olympics have drawn more than 30 million viewers, topping the combined total from the 2008 Beijing Olympics (5) and 2004 Athens Olympics (2). According to Nielsen live + same day data, the last primetime series to average 30 million viewers was the 2006 season of American Idol. The London Olympics 17-night primetime household rating of 17.5/30 ties the 1988 Seoul Olympics as the highest-rated non-U.S. Summer Olympics since Montreal in 1976. Amazing! Those are just some AMAZING TV ratings numbers that make spending…. ….to be an Olympic Sponsor look like a very good investment because there is just no other event on Earth where a company can reach so many people that are often very engaged in watching the Olympic Games like nothing else on TV or any media platform for that matter. “WellStar Health System and Kennesaw State University's athletic department have entered into a $2.75 million partnership and sponsor agreement that gives WellStar naming rights to the school's new stadium press box. The deal calls for WellStar to provide the athletic department with $1.25 million over the first three years of the agreement, and then make 12 annual payments of $125,000 through 2029, reports the Marietta Daily Journal. Since Kennesaw State University decided to field a football team which will begin play in 2015 as a member of the Big South Conference the folks at KSU have been on quite a roll with already a corporate sponsor for their stadium, Fifth Third Bank Stadium, and now a $2.75M sponsorship that includes naming rights to the stadium’s press box. The naming rights deal for the stadium with Fifth Third Bank is worth…. Congrats to Kennesaw State University for getting off to a great start in generating lots of sponsorship Dollars for their new football program and athletic department! “The City of Nampa, Idaho, has finalized a five-year, $1-million naming rights deal with Ford Motor Company and Treasure Valley Ford Dealerships. The partnership between the national Ford Motor Company and seven local Ford dealers will put the Ford name on the Ford Idaho Center as a complex, and also its three facilities: Ford Arena, Ford Amphitheater and Ford Idaho Horse Park. In total, the SMG-managed facilities host about 250 event days each year — a number that newly-elected Nampa Mayor Bob Henry hopes to grow as a result of this deal. Facility GM Craig Baltzer said the $1 million which will be paid over the five-year period, will likely be used for capital improvements; however, it’s not the most important aspect of the deal. 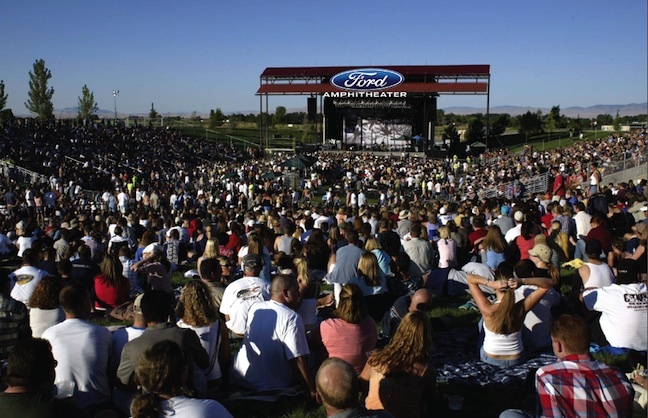 $200K per year for the naming rights for an amphitheater in a town the size of Nampa even considering that Boise is nearby is a very impressive deal indeed and with 250 events at the amphitheater each season and with a seating capacity of 12,500 that is the potential for Ford Motor to reach over…. ….which is a very attractive CPM (cost per thousand) marketing investment once all the numbers are broken down. Congratulations to the folks in Nampa, Idaho for putting together this great naming rights deal with Ford Motor Corporation! The Nashville Sounds, the Triple-A affiliate of the Milwaukee Brewers, are building a new baseball stadium and are now looking for a company to take over the naming rights for the ballpark…. “After decades of playing at Greer Stadium, named for businessman Herschel Greer, the Nashville Sounds will sell the naming rights for its new ballpark in Sulphur Dell. ….in a town the size of the Nashville metro area (1.6 Million People) a Triple-A baseball team should be able to generate a naming rights deal for their stadium in the neighborhood of…. …..and with that in mind we here at the Roaring Fork Agency will be calling the Nashville Sounds on Monday to see if we can pitch their stadium naming rights opportunity to the companies we are now working with on various events and projects! In a world where it is increasingly hard for companies, marketers, advertisers and anyone else with a message they want to get in front of the public to be assured that their message will be seen and heard there is still one great medium that insures the end audience will be reached and will be engaged in what they are watching and that one medium is…. There is nothing like live sports action to engage the general public and engage them far beyond the games themselves because often the real action lies in the lead-up-to and reactions after the games that provide great opportunities for companies to deliver their message to willing and ready to listen consumers. Ad Age has the truth behind of…. “Every marketer seems to stand up and cheer for sports. From jewelry retailers to automakers, brands dole out millions of dollars to have access to one of the last DVR-proof offerings on TV, an arena where "mass market," "reach" and 30-second spots still mean something. Robert Carter, VP-automotive operations for Toyota Motor Sales USA, puts it simply. "You have a better opportunity to get your message in front of a sports viewer vs. somebody that DVRs a drama, then commercial-skips," said Mr. Carter at the Automotive News World Congress in Detroit. But modern sports marketing stretches far beyond TV. It might be the best place to get creative in both message and media: data-based mobile marketing plays at NBA arenas; virtual ads behind home plate during Major League Baseball telecasts; real-time tweets during NCAA's March Madness; and b-to-b plays at the U.S. Open and Nascar races. Why? Because people engage with sports like nothing else. If you want to talk passion points, think of those Red Sox fans after the team won its first World Series in 86 years; consider the buzz already building for the World Cup; or just Google "Auburn Alabama final play." The North American sports market alone is expected to hit $67.7 billion in revenue by 2017, up from $53.6 billion in 2012, according to PwC. That figure includes gate revenue, media rights, corporate sponsorships and merchandising. Those are some amazingly fast-growing numbers in the North American sports market which has been on a steady rise for several decades now and has been on a noteworthy tear in the last few years even in the face of one of the longest and toughest recessions in American history. What we here at the Roaring Fork Agency have learned in the last five years since the bubble was burst on the US economy in the Fall of 2008 is that there are a lot of things that Americans will do without but they will not do without…. …..and that reality should be well-understood by anyone that has a product or service they are trying to sell into the marketplace which means that any solid marketing mix plan should include sports, sports, sports….and did we say sports? Hartford Marathon In Search for Title Sponsor Produces Economic Impact of Race Report….Now What the Hartford Marathon Needs To Do…. The Hartford Marathon is now on the hunt for a new Title Sponsor in the wake of ING dropping their sponsorship of the race and the very smart thing that the Hartford Marathon has done is quantify in Dollars & Cents terms what the event is actually worth to the Hartford, Connecticut region. “While still searching for a new title sponsor, the Hartford Marathon smartly released a study last week showing that last year's October race generated $14.1 million in economic value, up from $11 million in 2012. The study, done by Avon's Witan Intelligence Inc., found that the average party of people attending the race spent $388.47. That's up from $282.71 in 2012; the average party was also bigger in 2013 at 3.1 people, compared to 2.7 a year earlier. Hotels, restaurants, and small businesses were the beneficiaries. 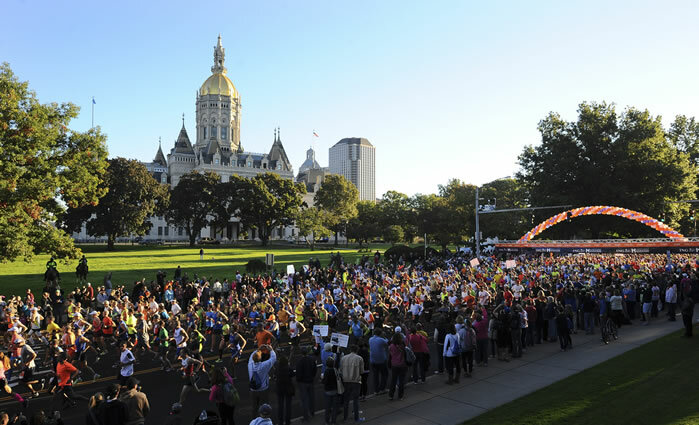 While not earth shattering, the numbers demonstrate the race, which drew a record breaking 75,000 attendees, is a major event for the city, helping attract hordes of runners and onlookers from across Connecticut, the country, and even outside the United States. ING, which sponsored the race since 2008, has dropped its title sponsorship on the heels of a rebranding and new marketing strategy. By all accounts, ING was a good corporate sponsor. Maybe an email or phone call is in order from the Roaring Fork Agency to the folks running the Hartford Marathon! 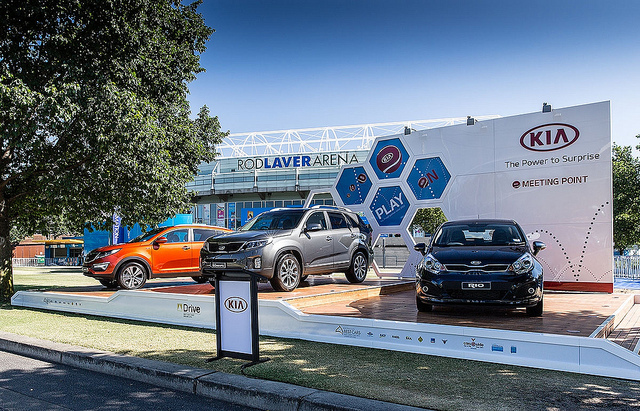 “More than 6.7 million Australians regularly or occasionally watch the Australian Open on TV, and luckily for lead sponsor KIA, almost a million of them intend to buy a new car this year, according to Roy Morgan. The South Korean carmaker is recognized by one in seven Australians as a sponsor of the Australian Open, making it the runaway winner of brand associations from the Grand Slam. Of course, generating that kind of “sponsor recognition” doesn’t come cheap because in the next paragraph of the above story we learn that KIA spends…. …..related to this sponsorship which is only 2% of the 1 million Australians that both watch the Australian Open every year and intend to buy a vehicle in the next year. YES, that is the kind of ROI (Return on Investment) that makes great sense and Bravo to KIA and the Australian Open for putting together a great sponsorship deal that is a WIN – WIN for everyone involved. Now back to watching the Australian Open! 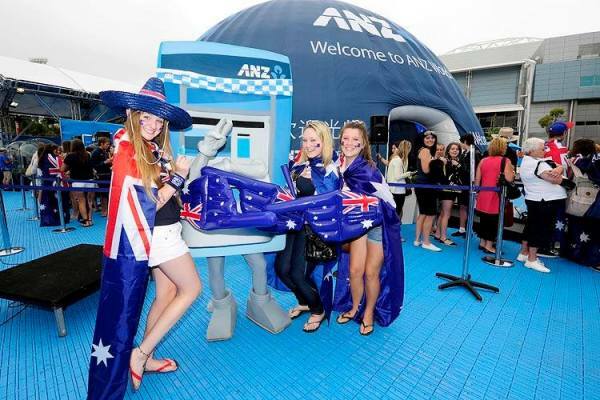 “ANZ has been a sponsor of the tennis since 2010 and says, "[it] is a sign of our continued commitment to the Australian market, as well as being aligned with our goal to be a super-regional bank and grow our presence in the Asia Pacific region." As tennis takes off in Asian countries, thanks largely to the success of Chinese female tennis star Li Na, many big companies are likely to seek sponsorship of major games and events. ANZ already achieved "Diamond" sponsorship status at the Shanghai Masters last year, but will also search for other opportunities in the region. Women's Tennis Association managing director, Peter Johnston, told The Australian Financial Review Li Na's success has positively promoted the sport in China: "The sport is popular and played at all levels, from government officials down to the rest of the population. So we have both international sponsors and Chinese companies wanting to reach the wider consumer market coming to us." Jacobs Creek, another top sponsor, owned by French company Pernod Ricard is also looking to make a similar move to ANZ. Bravo to the Australian and New Zealand Banking Group (ANZ) for sponsoring the Australian Open tennis tournament (being telecast on ESPN’s network of channels over the next several weeks) and for showing other companies considering sponsorship the importance of having very clearly defined goals that back-up the hard-earned money that ANZ is spending on the event. New Balance To Sponsor Snow Removal Along Charles River in Boston This Winter.....Brilliant! “New Balance has renewed its sponsorship agreement for a fifth consecutive season with the Department of Conservation and Recreation (DCR), with the hopes of ensuring pedestrian paths along the Charles River are safe and clear this winter. Thanks to the renewed agreement with the DCR, New Balance will help fund snow removal efforts along the 17-plus mile path, stretching from the Museum of Science in Cambridge to Watertown's Galen Street Bridge. “Providing four-season access to the Charles River Basin for runners and walkers is a crucial priority for DCR, and the support of New Balance to enhance DCR park users’ experience in this area supports this mission, and showcases the ways DCR and the business community can work together," DCR Commissioner Jack Murray said in a statement. Snow removal, itself, will be performed by the DCR within 24 hours after a storm has run its course. The New Balance sponsored clearing is scheduled to begin with the next storm (see: outside your window). The great thing about this New Balance snow removal sponsorship is that it engenders a lot of positive news coverage…. Brilliant and a Win-Win Sponsorship Deal for Everyone! There was some great news in the world of golf this past week with both the PGA and LPGA Tours getting significant sponsorship commitments for two of their events that will secure both of those professional golf tournaments for years to come. First the LPGA Tour which nailed down a new Title Sponsor for the Canadian Women’s Open with the Canadian Pacific railway company stepping forward to sponsor the event which will be held at the London Hunt and Country Club in Ontario. “LPGA Tour commissioner Mike Whan was putting out feelers prior to entering his post in 2010. "Give me some of the names of some of the heroes," Whan remembered asking golfers on the world's top women's golf circuit. "Organizations like the LPGA thrive on heroes -- people that are on the business side, but really get women's golf, they understand what we're trying to build here and they're going to make a difference long-term." One name kept popping up. E. Hunter Harrison. Railway tycoon. Six months ago, the two finally met for dinner. LPGA star Morgan Pressel's reaction upon hearing about the meeting? "Well, now you've finally figured it out," Whan recalled. "That's who you've got to go talk to." That dinner meeting apparently went well. ….got a five-year extension on Farmers’ Title Sponsorship for their great event which is a key PGA Tour golf tournament during the Tour’s “West Coast Swing” at the start of each year. 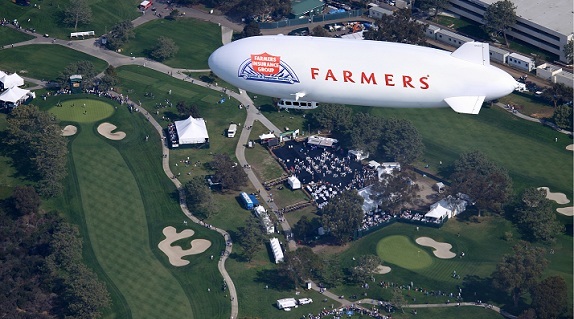 “Nearly five years ago Farmers Insurance took a flyer while swooping in to sponsor San Diego’s PGA Tour event at Torrey Pines just six days before the tournament began. The company has its eyes wide open to golf now, and it likes what it sees. On Tuesday, the PGA Tour officially announced a new five-year contract for Farmers’ sponsorship that will run through the 2019 event. ….and that particular kind of commitment to sponsor sports is a very good sign that corporate executives and the marketing/advertising agencies that they work with to spend their advertising Dollars see better times ahead for the economy which is a very good thing for the world of sponsorship going forward.